Professor Mohammad Masood Ahmed is born in Hyderabad. From 1st to 7th he studied in Police boys school (Urdu Medium ), Amberpet. 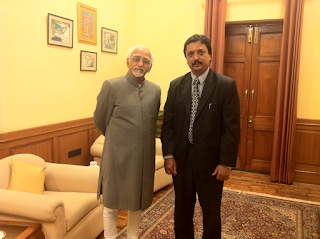 From 8th to 10th he studied in AKM high school (Urdu medium ) in Kachiguda in 1980. After that he was not interested in studies because his father is a business man and he want to take care of his father’s business. But his father has a regret that his son is not studying because he is 2nd elder son in his house. That’s why after 3 years, In 1983 he joined Intermediate CEC in Urdu Arts Evening college, Himayathnagar. Later he completed B Com ( Engish medium ) in Arts & science college now it is called as PG college Secunderabad in 1988. Later for one year he had completed PGDCA Diploma in Computer Application course. 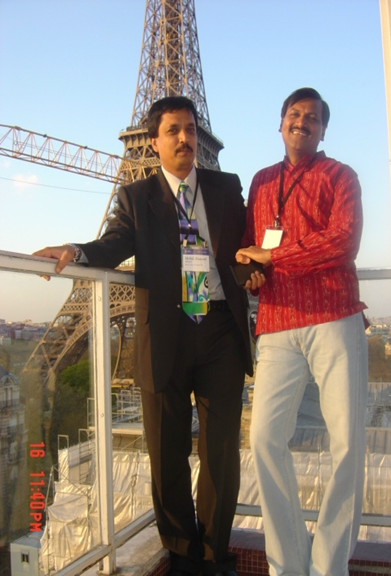 In 1989 he joined MBA Computer specialization in DAV college, Sholapur affliated to Shivaji University in 1991. On that time that college faculty was not good to teach computers. College Principal asked him to teach Computers for MBA students. Then he used to both teach and study in college. In 1991 Deccan Group of Institutions has started first PG college as Deccan school of Management for MBA in Hyderabad. 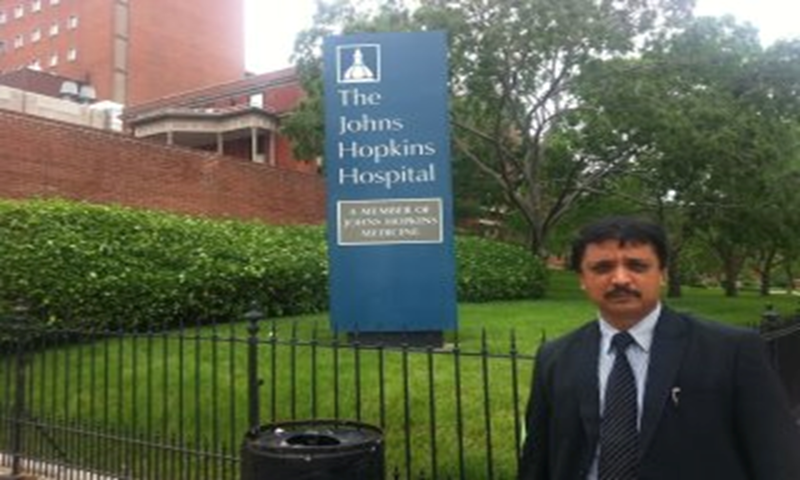 In 1991 he joined as lecturer in Deccan school of Management. He was the first employee in that college. In just one year he became Vice Principal of College. Later after 1 year in 1993 he has become Principal of that college. On that time he was just 27 and he was one of the Youngest Principal of the country. Later he earned 6 Post Graduation Degrees they are MBA from Shivaji University, M Com in Osmania University, MA Economics in Osmania, MSc Psycology from University of Madras, Tamilnadu, M Phil Management in Madhurai Kamaraj University and Masters in Health Sciences ( Public Health ) in Annamalai University, Tamilnadu. 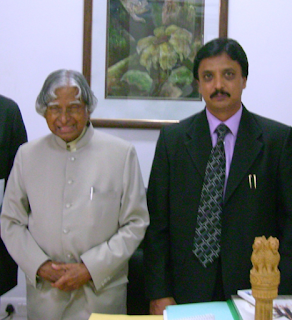 From 2012 to 2013 he became 22nd President of “Association of Indian Management Schools” (AIMS ). He was elected by 700 MBA college Members. 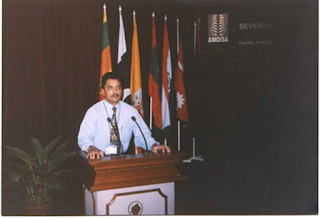 In SAARC Countries (Afghanistan, Bangladesh, Bhutan, India, Maldives, Nepal, Pakistan, Sri Lanka ) one Organisation promotes Management education. That is “Association of Management Development Institutes in south Asia” ( AMDISA ) organization. In that Association from India 3 members will be there as Executive Board member he is one of the from India. He is Visiting and Guest Professor at more than 175 institutions in India and Abroad Some popular institutes are Indian Institute of Management, Ahmadabad(IIMA),Indian School of Business(ISB), All India Institute of Medical Sciences (AIIMS), Nizam’s Institute of Medical Sciences (NIMS) ,Narayan Medical College, Nellore, Administrative Staff college of India (ASCI), Hyderabad, University of Hyderabad, Banaras Hindu University Goa University, Ranchi University, Amravati University, Kashmir University, Moulana Azad National Urdu University, Mehwar University, Githam University, GLA University and many more. He has visited more than 300 Educational Institutions and Hospitals in South Asia, USA, UK, France viz., B-Schools, Universities, Engineering Colleges and Medical colleges.. Some globally well-known institutes that he has visited are: Harvard University, Stanford University, Wharton, Kellogg, John’s Hopkins, MIT, London Business School, and London School of Economics. His Father is Late Mohammad Ahmed, business man and Late Mahmoodunnisa Begum,house wife. He has 6 sisters and 3 brothers. He is the 2nd Son in his family. He has 4 children, Elder girl has completed MBA recently , 2nd Boy is doing MBBS 2nd year in ESI Medical college, Sanathnagar, his younger daughter got BDS seat and youngest daughter she is in 9th class. He is a Fitness freak . In Hyderabad every year a fitness event is organized that is “TRIATHLON” program, in that paticipants has to complete 1.5 km Swimming, 40 kms cycling and 10 kms Running within cut of time of 7 hours. From Last 3 years he has completed this event. He is a Founder of Charminar cycling club, they go long distances on cycle. He also has participated in National Level Fitness Programs. 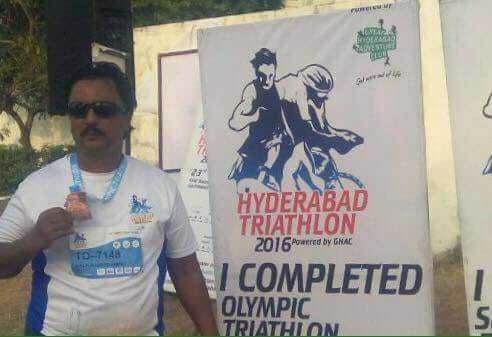 "Health is Wealth : We have successfully completed Hyderabad Triathlon : I have completed Olympic Triathlon ( 1.5 KM Swimming+40 KM Cycling+10 KM Running at stretch). 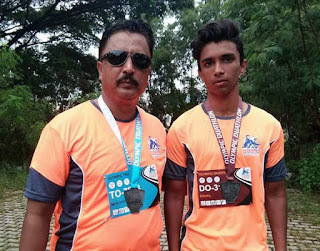 My son Sohail has completed Olympic Duothlon (10 KM Running+40KM Cycling+5KM Running at stretch ) and my friends have also completed Similar Events. This Event was organised at Gachibowli Stadium in Hyderabad about 2000 participants were there from all our India Thanks to my Coaches, Swimming, Cycling and Running mates." (Q) Whom do you like to credit your role model as --- Why? (Q) Which is your best achievement? Success is 100 % assured in long run provided you should have great teachers, great friends and great spouse.